Item: Excellence, 56-1/8" x 28-1/8" x 49" Gelato Dipping Cabinet. 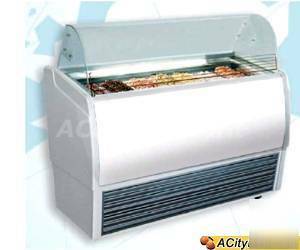 * Gravity refrigeration for stable product temperatures. * Automatic hot gas defrosting. * Available Mahogany (special order).